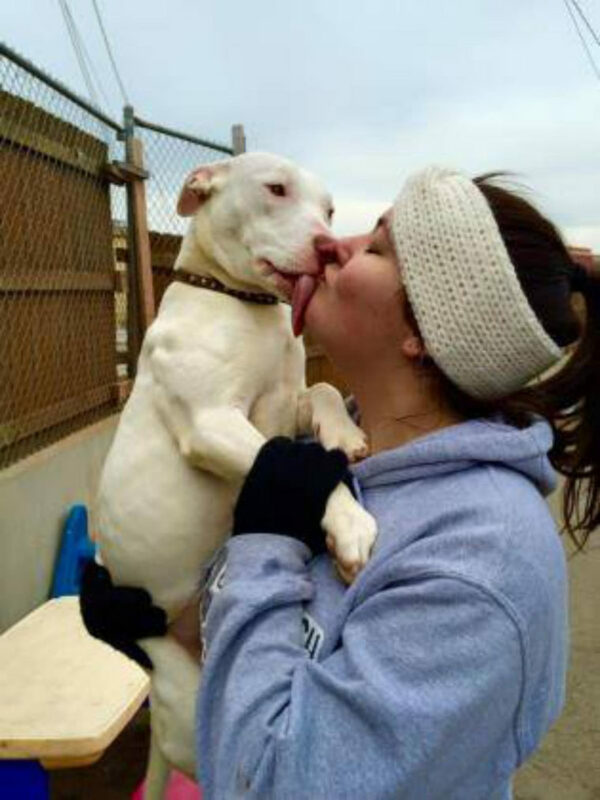 When a shelter dog finds a loving home, it’s cause for celebration. However, there is always some pups that are left behind. 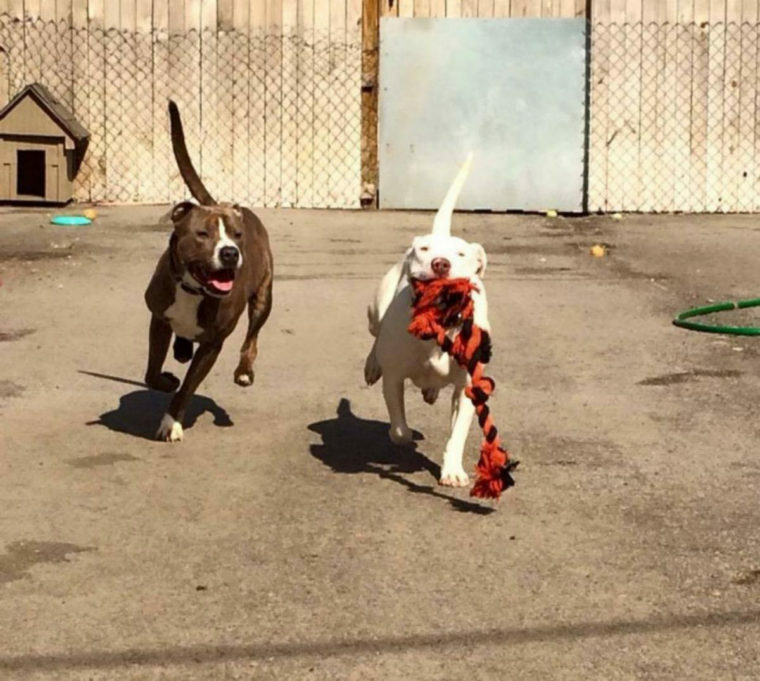 This is the story of a deaf Pit Bull, named Marshmallow, who shared a kennel with his friend, Scooby. After a long wait, a family adopted Scooby. However, the puppy was not the same without his special friend… Something prevented him from being completely happy. The poor girl had a great emptiness in her life, as her one and only company was no longer around. 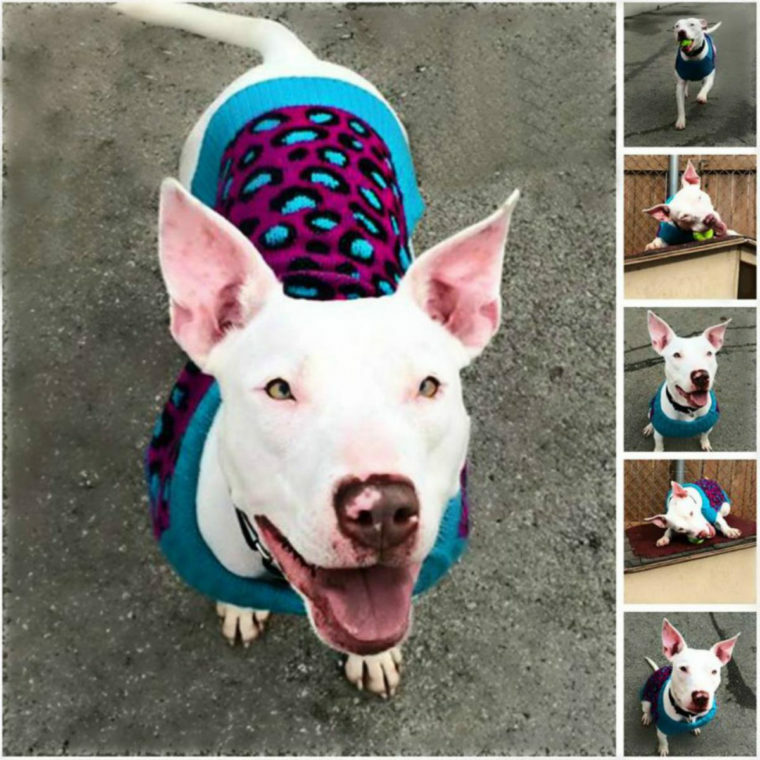 “Marshmallow is very affectionate, but she has a special condition: she is deaf. When she was rescued, she was very sick with parvovirus. She is a survivor, but she needs a lot of love.”, wrote the shelter.